For years now, I’ve been hearing about the importance of strengthening one’s core. I think it started when my daughter began running cross country in high school. I believed I had a general understanding of the concept and was happy for her. Thanks to Facebook, in the years that followed I was able to advance my knowledge. It was through this medium I was introduced to “planking.” Well toned young men and women were shown demonstrating this “exercise.” I’ve seen enough body sculpting gimmicks over the years to quickly dismiss this as just another hoax. Even a casual observer could see the guinea pigs weren’t even moving. What the videos failed to show were the hours these ripped models of undergarments spent in the gym with a highly paid trainer. Absent too were the “meals” they were partaking in. Salads, vegetables, an occasional grape or two and on special occasions a bite size kale cookie as their diet were kept secret. Planking. Ha. I have a “friend” who thought it a good idea to take a plank challenge. He was kind enough to invite me to join him by also taking on the endeavor. Its simple, he explained. We’ll each start with a 30 second plank on day 1 and just add a mere 3 seconds per day until Easter. Having never attempted a plank I decided to give it a test run in private. No problem. Not for a half minute at least. At the time of the writing of this blog entry I’m at 135 seconds. For those scoring at home, that’s more than 2 minutes. That’s more than 4 times as long as my first plank. Yes, that’s four times the fun. A natural question at this point would be, “Is it worth it?” Hmmmm. I haven’t fielded any calls from Hanes or Fruit of the Loom yet, but that wasn’t the goal. I just wanted to strengthen my “core.” I suppose that would suggest the need to find out where my “core” is. Surely if this planking thing works on the core, I should by now have a sore core pointing to the source, of course. My research is complete. The “core” includes, but is not limited to the following: Elbows, biceps, neck, shoulders, lower back, upper back, mid back and all parts relating to the back, abs (good to discover those bad boys are still in there), quads and calves. That fairly well covers it. I guess its like an apple core. When you think about it, an apple core almost covers the entire span of an apple, sparing the stem and whatever little part of the fruit that hangs below the base of the core. For a human, that would be the feet. At this point, my stem (head) and feet aren’t sore. I guess that’s only partially true since I might have a slight cramp to my ego. I decided to try and steal the Press’ thunder by getting out in front of the media blitz planned for Valentine’s Day. Rhonda, my Honda, and I were enjoying some quality time together recently, when I noticed the paparazzi photographing us from behind some trees on my property. I wish I could say I was shocked. Surprised in the moment, yes, but not shocked. When I heard Hollywood referring to Rhonda and me as “Paunda,” I knew we were in their crosshairs. Even an innocent stroll on my own property became public fodder. For the first time in years, I have a Valentine to celebrate the holiday with, and I REFUSE to let the press spoil the occasion. I’ve spared no expense in letting her know my feelings. As a bonus, I received Speedy reward points when purchasing the rose! I have three other valentines I'm also very grateful for. Well, did he, or did he not see his shadow? Day6art phones have been ringing relentlessly with questions regarding Groundmole Day results. As with all information disseminated from this platform, the answer will be delivered in a manner that exhibits the finest display of brevity. My massive audience deserves no less. I’d like to begin by expressing my sincerest gratitude to those that made this groundbreaking event possible. Obviously, we couldn’t have held a Groundmole’s Day celebration without an American Shrew. For this, we have to thank Mr. and Mrs. Shrew for taking time out of their busy schedules to conceive our guest of honor. I’d include photos, but this is a family blog. Next, I’d like to thank the committee that made the decision to use the American Shrew as the replacement for the groundhog. As my previous blog mentioned, this was no easy decision, and came with mounds of deliberation. Finally, I’d like to thank me. Thank you, Paul, for having the courage to unseat the overrated rodent of lore, and place in its stead, a new, well deserving specie. One with characteristics we’d all love our own dear children to aspire to. I blush. Perhaps it is now time to share the results of the first annual, sure to be a classic , off the charts, manically mesmerizing moment of monumental mention. My manager says its too soon. So, let me take this opportunity to make a brief announcement regarding our soon to be sponsor, Mountain Dew. Even though I deserve an ENORMOUS pile of credit for the success of this company, they seem incapable of extending even a wee (pun intended) amount of grace to this blog’s author. Dew to the last minute creation of the Groundmole’s Day holiday, we were not able to obtain advertising for the event. Since shrews are appreciated most for the lovely tunnels and mountains of dirt they sculpt, Mountain Dew became an obvious choice as an advertiser. Negotiations are already in the works for Feb. 2, 2019. Don’t kill the messenger. You MIGHT consider killing the shrew, however. I understand they actually make a variety of instruments to accomplish such a task. Punxsutawney, Pennsylvania has hogged center stage for one of the nation’s most significant holidays long enough. 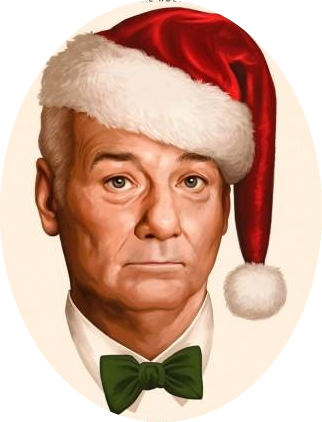 While I appreciate the wonderfully crafted film bearing the name of this celebration, Groundhog’s Day, starring the great Bill Murray, you must admit enthusiasm for the day has waned. I wouldn’t be surprised to see Halloween or even Thanksgiving surpass Groundhog’s Day in popularity. As a passionate participant in all things groundhog, I have to confess its been more difficult each year to drum up enthusiasm for the day. The first sign came when I almost forgot to have my groundhog leisure suit dry cleaned in time for the annual parade. Further evidence appeared when I realized I hadn’t scheduled a choral group to join me in singing Groundhog carols in my neighborhood. And then I almost had to FORCE myself to head to the mall to get my Groundhog’s Day shopping finished. Much to my dismay, I found a great parking space with ease, didn’t have to fight crowds, and found everything on my gift list without a struggle. Free gift wrapping was no where to be found. Luster gone. Its time for a change. Time to throw the chubby rat on the grill and find a new creature to take the spotlight. Predictably, my schnauzer began her campaign immediately. I let her down easy. “Sadie, you are already the most admired specie on the planet. Let’s give the honor to something less ballyhooed.” FYI, “ballyhooed” doesn’t translate easily into German. After considering animals of many shapes and sizes, my committee narrowed its selection to the following underappreciated animals. The walking stick, hummingbird, and the American shrew mole were the candidates selected. The debate was fierce and extreme scrutiny was applied to evaluating the qualifications of each critter. The walking stick, while loaded with personality and athletic prowess was unavailable for an audition. We looked everywhere, for just ONE of these lanky crawlers. We even used a walking stick bug call to try and lure them out of the woods. While attracting a lot of admiration from the neighbors, the stick bugs stuck to their places of hiding. Questions were also raised as to how visible a shadow these wigglers could cast. Hummingbirds are amazing birds. These nutty nibblers of nectar come in a variety of colors, make a delightful noise, and are quite photogenic. On the downside, however, the committee couldn’t get past the fact that the little buzzers are “fair weather friends.” Who cares if winter is sticking around another six weeks or not when you head down south for the season. Having such potential for great affection, however, (their hearts beat 1,260 times per minute), certainly led to a check in the plus column. As such, we are considering having the hummingbird take Cupid’s place as lead promoter for Valentine’s Day. By process of elimination, the panel is proud to announce the American shrew mole as the new face of the holiday formerly known as Groundhog’s Day! And what a face it is. I can already imagine stuffed shrew toys FLYING off the shelves and into the adoring arms of children across the globe. Gummy moles will be a favorite at your local candy store. And check out those diggers! Beautifully manicured paws that want to just reach out and hug you. Undeniably lovable. I trust you'll deeply dig the first annual Groundmole Day and all its festivities! Here’s hoping he DOESN’T see his shadow. Surely, you can imagine this guy being committed. Following a lengthy relationship, in my case a 28 year marriage, if enough time elapses before entering a NEW relationship, whispers start to occur. Depending on the situation, the whispers may actually be shouts, but the level of volume is inconsequential. “Is Paul gun shy?” “He must have developed a fear of commitment.” "Perhaps he needs to get out more." "He's not getting any younger." "I think its time for him to be more serious." I’ve been divorced for 7 years. I hear the whispers. I typically thank the well meaning interrogator for their concern and move on to happier topics, like the Detroit Lions, Alberta Clippers, or Ebola. I’d like to use this platform to announce I’m now in a very serious relationship. It came about quite suddenly, straight out of the blue, as is often the case. Its amazing how I’ve been able to carve chunks out of my busy schedule, to spend meaningful time nurturing this bond. After a few fairly intense dates, I could no longer remember my life without her. I asked Rhonda if she minded if I shared our relationship in a blog. She was speechless. I took that to be a resounding “yes!” I’m not sure I’d have gotten the same reply a year ago when we saw each other for just a brief time around Christmas. Once the ball dropped on 2016 and ushered in ’17 we stopped dating. It was abrupt. It was clean, and to be honest I wasn’t saddened by it. It seemed that it was always my responsibility to fuel the romance and to monitor all of the maintenance a great partnership demands. I welcomed the breakup. Does that seem cold? It might surprise you to learn Rhonda LOVES the cold. Its really the only time she heats up. She BEAMS when I take her out, even in frigid temps. She LOVES long walks, even if we don’t leave my property. She LIVES to be fed and taken out for walks. I think its time you see a photo of my significant other. Isn’t she a dandy? I managed to get her best side. I think we make a pretty good team. Here’s a bit of evidence. We’ll have to see how things go. For now, Rhonda and I are taking it a day at a time, but I’m predicting this link is just getting started. The reason she is attracted to me should be obvious. I get gussied up for Rhonda. ITS BITTER COLD AND SNOWING RELENTLESSLY!!! Have you noticed how therapeutic it is to place an exclamation point after a word? Its true. The simple placement of a vertical line, hovering above a wee little dot magically makes any word cause for celebration. Using all caps helps too, as long as the reader recognizes they aren’t being scolded. Not convinced? I’ll prove it. DUSTING FURNITURE! SORTING SOCKS! GRADING PAPERS! SEE? I mean, “See?” Wow, my twitter box just lit up. Apparently my readers feel I selected softball illustrations to insure a favorable result. I’ll dial it up a bit. INFLUENZA! CLEARING GUTTERS! CLEANING UP DOG POOP, THAT’S NOT SOLID, BY HAND!!! BRUSSEL SPROUTS!!!!!!!! Some times multiple exclamation points are required due to the severity of the application. This technique works great with weather too. SNOW SQUALLS! WHITE OUT! SUB ZERO TEMPS! It also works great for the effects of such conditions. SCRAPING ICE FROM THE WINDSHIELD! WATCHING ICE DAMS FORM ON YOUR ROOF! FINISHING THE SHOVELING OF YOUR LENGTHY DRIVE WAY JUST IN TIME TO START AGAIN! REALIZING YOUR FEET HAVEN’T TRULY BEEN WARM FOR OVER A WEEK, AND YOU’RE AFRAID TO LOOK AT YOUR FEET IN FEAR OF FINDING YOU MIGHT HAVE LOST A TOE OR TWO IN THE ENDS OF YOUR SOCKS! Born in New York, and then living in Michigan and Wisconsin, I’ve learned to embrace, no appreciate,.... let’s just say tolerate winter. As a child, winter meant snow. Sometimes lots of it. It was great for building forts, making snow men, and for writing your name in it when going indoors with all your survival gear on wasn’t practical. In Jr. and Sr. High School it meant the extreme unlikelihood, yet worth praying for, event of a SNOW DAY! I even allowed myself to enjoy SNOW DAYS during my years of teaching. As a home owner winter brings its own reward. Freezing temps and mountains of snow can lead to slippery walks if not kept after, bursting pipes if not insulated, and a leaky roof if ice backs up under your shingles. All good, clean fun. Without even needing a calendar to guide me, I instinctively begin asking myself this one question every year, soon after the Christmas tree is returned to its storage box. You know, the carton it fit perfectly in when it was purchased, but now only houses half of the segments, and even then is coming apart in 3 of the 4 corners. Yes, that box. I mean THAT BOX! Oh yeah, the question I ask is this, “Why do I live in a northern state?” Naturally, I answer myself. I’m not a rude person. “BECAUSE WINTER IS AWESOME! By mid January its, “BECAUSE WINTER IS AWESOME!!! Once the Super Bowl has been played and there’s no longer a reason to live, I pull out the big guns, “BECAUSE WINTER IS AWESOME!!!!!!!!!!! Now its February. The original calendar makers must have been caring people, with great foresight. Knowing this month (even with a delightful holiday smack dab in the middle of it, where men have the privilege of purchasing never satisfactory cards and gifts for their sweethearts) will be an unpopular month, they made it the only sub 30 day month of the year. That was thoughtful, yet ineffective, as it still feels like a 60 day month. Much in the way a 28 degree afternoon can “feel like” single digits. I tend to treat February like a piece of dry liver, that I’m expected to consume, before I’m allowed to “go out and play.” No, I don’t take “February” and feed it to my dog when my mom isn’t looking. Actually, I tried it, but my dog took a small whiff of the month and declined. No, I take February and divide it into more manageable bites. Since the NFL has kindly, and possibly for financial motives, moved the Super Bowl to the first Sunday in February, the first week of the month is an easy bite. The Monday following (which should be a national holiday) is where the work begins. If the Super Bowl falls several days into the month, almost one quarter of February will have already expired, leaving approximately 3 weeks, or 7 weeks using February math. The first week is a week of mourning. This is the first week of a 24 week span, where not even an exhibition NFL game is played. I find this week the easiest to endure, as my mind and body are numb, and not from the cold. I wander through the week with all of my senses in lock down. Dark chocolate and Mountain Dew are flavorless during this week, though I still consume them. Nachos, cheese, crackers and summer sausage only serve as reminders to what is no more. Eventually, the worst Sunday of the year (the one following Super Bowl Sunday) is over and so is approximately half of February. Week 3 is spent trying to reclaim the driveway, sidewalks and roof. Its also a week of catching up on basic hygiene, watering plants in hopes they can be revived, recycling the newspapers you didn’t have the heart to read, and if you still have the energy, you might head to the mailbox. It’s not a pretty week. Week 4, though it will seem like 23 days, is greatly anticipated. During this week I allow myself to glance at a calendar. “I can do this,” I mutter. I see the light at the end of the still lengthy tunnel, and its beautiful. When I was a school teacher, this Monday always included a mandatory staff meeting. Its like a staff infection, but less enjoyable. By the time I’d arrive home for the evening, I felt the world owed me an enormous “THANK YOU!! !” just for making it through the day. I won’t bore you with the boring details of the boredom that engulfs me the remainder of this borefilled week, because by now I’ve probably depressed the handful of readers still with me. WAKE UP! ITS WINTER! SPRING IS JUST AROUND THE CORNER- YOU JUST CAN’T SEE IT BECAUSE THERE’S A MOUNTAIN OF SNOW BLOCKING YOUR VIEW!!! Fast forward to March 1. Just saying “March” makes me feel warmer. Until, of course, the day arrives and you realize winter doesn’t know its free to leave. Often times, it doesn’t even take the hint on APRIL 1, no foolin’. So, getting back to my annual question of why I live in a northern state. Its quite simple, and not very profound, but goes a little like this. Spring does not sparkle, if not earned. What value would there be in seeing a daffodil, if you just dragged the final load of leaves to the curb? Daffodils are best viewed when a patch of snow is in your periphery. So there you have it. Please don’t be upset at me for taking so long to get to the point. Instead, thank me for getting you closer to the end of winter! I learned about the color wheel as an elementary art student. During my teaching career I also taught a color theory lesson to bright eyed little cherubs countless times incorporating the color wheel. So I speak from an informed position when it comes to the identification of primary and secondary colors. Solanum andigenum is the scientific name for the purple potato pictured above. I discovered these at my local farmer’s market this past summer. Being a self proclaimed “health nut,” I was immediately drawn to the health benefits this uniquely hued spud offers. It is loaded with antioxidants and disease-fighting phytonutrients, AND can reduce inflammation. The older I get the more I notice the struggle to avoid midsection inflammation. This is especially true during the winter months, so I bought a bushel. It was not just the health benefits that drew me to this violet tater. When I asked the farmer about them he simply referred to them as “purple potatoes.” I was relieved as I’ve almost grown accustomed to purple and red being confused in the natural world. Let me illustrate. These are examples of “purple finches.” A toy and real life version. Do they look purple to you? Barney is purple. The Minnesota Viking football team wears purple. Okay, so Barney looks a little magenta, don’t get distracted. Perhaps someone mislabelled the “purple” finch years ago, and before the error was caught, encyclopedias (sets of books with a lot of information and cool pictures too), bird books, and ads for ceramic bird statues were already in print. I considered this possibility, and then I remembered another odd discrepancy in the natural world. 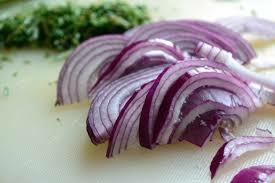 Have you ever purchased “red onions. ?” I happen to love them, but see nothing “red” about them. Cardinals are red. In real life, AND in toy form. 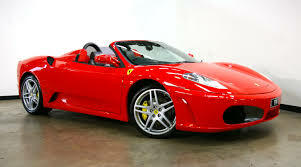 So are red Ferraris. I know this because I dream in color. By now, I might have lost my readers. Few have the stomach for the unveiling of such a heavy conspiracy. In the hope that there’s still one or two of you still awake, apparently you share my concerns. My theory is that an error WAS, in fact, made in the labelling of the finch. Rather than simply correcting the mistake it was swept under the rug (Figuratively speaking, other wise the little winged seed eaters would be trampled). Fans of the color purple, (HEY, that would be a great name for a book!) must have created an uproar. In a state of panic, the perplexed, panel of plainly, puzzled, poorly planning purple finch classifiers decided to make a deal. Clearly, they offered up the delicious “red” onion in an exchange. Makes perfect sense now, doesn’t it? An onion has no voice, though I believe they have feelings. Is it possible this is the reason they are the only vegetable that can bring us to tears? Well, onions and eggplant, but for different reasons. Speaking of eggplants, THEY are purple. Just purple. No need to call them Red Eggplants. The market doesn’t call for multiple eggplant offerings. Families don’t hold eggplant picking trips and fight over which type to harvest. “Eggplant” is sufficient. Its New Year’s and so I am looking for things to commit to in the coming year. Since I’m already a picture of health, and have nothing unhealthy in my lifestyle to rid myself of I’m making this resolution instead. Each day in 2018 I’ll be identifying mislabelled items in the world that surrounds us. I’ll expose these in my blog that is read by nearly millions of concerned citizens, and by 2019 I believe we might be able to remove all misidentified items from society. What cause could be more worthy of our time and resources? Christmas for me is so many things. It's such a wonderfully crazy, majestic, mind numbing, heart lifting marathon that connects with every sense. As a child, I heard the music from my parents' console as my mom played Christmas music from dawn to dusk. I tasted the holiday with each cookie, slice of ham, and, sadly, bite of fruit cake. Preachers' children received these as gifts, and to be polite were forced to eat a slice. How sad that two delectable food categories are combined to make a most detestable dessert. Fruit and cake deserve much better. I also smelled Christmas with the scent of candles, and felt it as snow crunched beneath my feet. The sights of the seasons were many. A heavily decorated sanctuary, a well lit tree with brightly wrapped gifts below, snow flakes as big as butterflies, and family. Five boys, my parents and a dog. Christmas also meant a journey from New York to Michigan to visit my grandparents on my mother’s side. My brothers and I grew to expect carefully wrapped, “squishy presents” from Grandma. Basically, squishy meant it wasn’t going to be a toy. We also knew we’d be receiving our annual flannel shirt. Every year, flannel shirts.... That is, until they became fashionable. To our disappointment, the flannel shirt tradition ended abruptly that year, and a new out of style garment was unwrapped. Christmas entered a new phase for me when I became a father. It was now time to try and navigate the season, making it magical for my own children, without having it become “all about the presents.” I probably failed, but one year I did get the privilege of playing the role of Santa for a friend’s family gathering. Yes, there were pillows inside my coat! As the years “rolled” on, less stuffing would’ve been needed. I fondly remember Christmas concerts at school, hand made ornaments that my kids made for our tree, and ballet recitals. These memories are under lock and key. As an art teacher, I frequently wove the season in to some of my lessons. Using Dr. Seuss’ Grinch as inspiration, my favorite project can be seen pictured above. My students were to design their own Grinch, based on descriptors in the book, without the figure looking like the original, or the Jim Carrey version. The results never ceased to amaze and delight. Christmas has changed for me now. I live with a schnauzer that seems oblivious to the season. It's now a quiet season. Snow still crunches, but needs to be shoveled. Music fills my house and reminds me this is the only time of the year where radio programming is dramatically altered. It also helps direct me to the “reason for the season.” While I don’t often burn candles like my mother did, I do have a fireplace that gets a workout this time of year. I do very little decorating, as my dog is color blind, like all dogs. Thankfully, I no longer have fruit cake forced upon me. Since I’m no longer teaching, I’m not even eating many Christmas cookies. That’s probably a good thing. Christmas no longer has the innocence, for me, it had as a child. Neither is it the magically crazy holiday it became when I was a parent of young children. Since I no longer teach, absent too are the joys of carefully taking ceramic Grinch statues out of a still warm kiln -- and then placing the hand painted finished versions in a prominently located showcase at the front of the school. Gone now are the excuses, too. It is a most wonderful time of the year. I’m still a busy person, but am now more free to dictate my schedule. I don’t have recitals and concerts to enjoy, or the demands the season places on an educator. I can have a “Silent Night,” if I choose. Christmas tastes different now, and not because I don’t have to eat fruit cake. Perhaps I’m a little slow to the take, but I view this now as a time to be more aware of those outside my home. It can be a painful time for those experiencing loss, loneliness, health or financial challenges. My Savior hasn’t changed, but He’s changing me, thank God. I reflect more now, and maybe over time I’ll be a better reflection of Him, and as a result be of more good to those I come in contact with. My thoughts this year are on how He came. If I was God, I might have sent my son as a young adult. I’d drop him onto the planet, “call my child Jesus, because I like the name,” (Elton John reference), and have him give some pointed suggestions to the world I created. Then I’d swoop Jesus back up to safely sit back at my side. That’s how I’d have done it. It wouldn’t have meant much, but I’d have been a selfish God. Instead, he came as a baby. I believe that. Some of you may not. He was born in a stinky barn. I don’t like the smell of manure. Jesus probably didn’t either, but I doubt Mary and Joseph noticed. Bigger things were going on. The barn was just the beginning, and what followed was no less remarkable. Too much for me to comprehend as a father, but not too much to ponder. I have time. I have health. I have family. I have friends. I have faith. I don’t have fruit cake. Merry Christmas to my transcontinental readership. I hope you enjoy the season, no matter your beliefs. I can NOT be the only one with this issue. It seems that unless I purchase “running socks,” from a “runner’s store,” at a “runner’s sock price,” which resembles the cost of a car payment, I will have a problem. My morning tends to get off to a good start with a shower and shave, in opposite order, but “shave and shower” doesn’t have the same ring. Trust me, I’m a writer. You debate this? I write blogs read all across the planet (thanks, good friend, Rick from Laos, for allowing me to proudly say this). So, sticking to the topic, my shower, shave and selection of the morning’s outfit ends with the pulling on of one sock per foot. Yes, just one single sock. I live in Holland, but don’t wear wooden shoes. One pair is adequate. If I listen closely, I can almost hear a giggle, in a “sock voice.” Come on. Certainly you’ve heard a sock giggle before. Every time you open the dryer and remove the snuggly, warm clothes, and pile them in the laundry basket, you don’t hear the subtle snicker of a sock or two (not matching), that have found a place in your dryer to hide? Well, I believe I hear the same chuckle as I put my socks on in the morning. On a particular morning of clarity, I can swear I hear one of them say “sucker!” As the bigger person, I choose to ignore the dig. Instead, I simply place a shoe over the sock to stifle its mockery and arise to continue my day. At first, nothing is amiss. I descend my stairs to the main floor of my humble abode, turn a corner passing through my dining room into my kitchen. This is the point where the daily annoyance begins to occur. I feel, usually beginning with my left foot, a slight slipping of my sock, off of my heel. Being good at denial, I pretend its my imagination, or if I’m in a really good mood, meaning I’m not out of frozen waffles, I’ll go with an optimistic approach. I tell myself that the sock, which has slipped off my heel, will change its mind and climb back OVER my heel, where every well behaved sock should reside. A half hour or so later, I realize my optimism is misguided. Rather than doing the right thing, the rebel sock has now encouraged the OTHER sock to do the same. I finally reached my limit on this sock issue. I sorted my socks into three stacks (see below). The bottom pile consists of the socks I wear for work. Close examination will reveal some of the colors of paint and stain I’ve used in recent years. While I believe these socks WANT to perform well, they really don’t. Congrats to them, though, for staying on the job long enough to become VERY discolored. Or perhaps the accolades should go to their owner. I hope you appreciate this analysis of footwear, and find it beneficial. I’d love to hear some of you have similar frustrations in this realm. If so, sock it to me in the comment section. And my dream is finally through. Yes, I dreamt I met Paul Simon in an airport and discussed illustrating his new album cover. I can often interpret my dreams at least at some level, but no luck with this one. I did have fun trying to put the story into the framework of one of my favorite of his tunes. I hope a few of you sang along! Did coin phrasers of old live long enough to witness the spreading of their catchy limericks? With the internet, I can imagine modern phrases reaching the corners of the globe in short order (I realize the earth doesn’t have corners, but I’m hoping my blogs can capture the conspiracy theorist audience). As a child I remember picking up some dandies from television and from my grandfather the fruit farmer. The Beverly Hillbillies introduced me to “a hoot and a holler,” while Grandpa was fond of saying, “You bet your hoopin.” I still have no clue as to what a “hoopin” is, but its surely something of great value, or it wouldn’t symbolize a risky wager. “A hoot and a holler” is sheer brilliance. It saddens me to think the author of the phrase might never have received his/her due for this phrase. Can you imagine using a “hoot” as a measure of distance? And then to think that act would not be enough on its own to reach the destination, so a “holler” was added to take the baton at the point where the hoot’s sound waves expired. At that juncture the holler would “run” the final span. I guess the holler gets the glory for crossing the finish line, but where would it have been without the hoot’s contribution? I choose to think the holler would step to the podium and publicly thank, in loud bellowing words, the fact there’s no “I” in team, but there most certainly IS a “holler.” Stay tuned for the future dissection and analysis of additional phrases, both ancient and contemporary. I probably spend an inordinate amount of time thinking about lasts. I divide them into two basic categories: those I know are lasts as they occur, and those I discover as such at some later date. The above photo is of what I’m certain will be the last ripe berry my raspberry bushes will produce this year. To get full value from the last berry, I made a pie. It's possible my “first last” of recognition occurred when my grandmother died. I was in the 7th grade, and she was the first person I was close to that I ever lost. As expected, it was painful and confusing. I naturally spent some time remembering the last time I saw her, as well as the last thing she said to me. As a school teacher, I probably overemphasized “last days” of the school years. I remember wanting to impart some final words of wisdom to my students, before dismissing them from my classroom for the last time. This is similar to when I dropped my own kids off for their first year of college. I think my fascination with “lasts” began to take root when I became a father. I was fully aware of the last autumns that each of my kids would spend at home. I remember the first time my first born met my grandfather. It was also the last time. I remember the last time she used a pacifier as she collected them all and put them into the garbage. I don’t remember the last time I sang her to sleep, or pushed her on the swing; on second thought, I think I remember the last time on the swing. I remember the last time my son trick-or-treated on his birthday, which he shares with Halloween. I remember his last baseball game. I don’t remember the last time he followed me with his Little Tikes toy mower as I cut the grass in our yard. Nor do I remember the last time he put my towel, shaver and deodorant out for me before I showered in the morning. My parents are aging. Their memories are failing and bodies breaking down. I consider “lasts” each time I leave them. I choose my words and actions carefully and I gaze at them a little more intensely, as I close the door behind me, hoping it’s not for the last time. It’s been said, “A picture paints a thousand words.” Believing that can sometimes be true, I had my technical crew obtain this photo to add impact to today’s highly-anticipated blog. Since I know many of my readers log in to my entries for the expressed purpose of gleaning technological insights, I’ll divulge the secrets to the processing of this capture. 1. Professional photographer snaps a series of pictures. This shows great foresight on the photographer’s part. Somehow he knows it usually takes between 35 and 50 shots to get one of the guy in the plaid shirt to turn out. 2. Photo is included in an article describing the exhibit the manila-folder-holding artists contributed to. 3. A thoughtful fellow color pencil artist sees the article and passes the link on to me. 4. Since the photo doesn’t show up on my phone, we open my laptop and viewed it there. on my computer, and my staff is on an extended lunch break, I enlarge the image on my laptop screen and take a photo with my iphone. This creates an unintended bonus. My pants now have a bit of a corduroy look, just in time for autumn. 6. Next comes the transfer from phone to laptop, so I can drag the picture onto my blog page. A little white cord makes this fairly simple. Feel free to make a print of these instructions for your own use. You may be finding yourself giving inservices on technology one day. So, why the photo? I wanted to follow up on the life of my latest drawing, “Lepidopteraphobic Rhinoceros.” In our last episode, the composition shook off the disappointment of not being accepted into an exhibit, and entered and was accepted into another. Not only was the piece accepted, but it received the “Best Of Show” award. I was obviously honored, humbled and grateful. If you doubt this, look at my wardrobe. The slacks (fancy word for “pants”) not only don’t have holes, but they aren’t even jeans! My shoes, which aren’t pictured, aren’t tennis shoes. They were still comfortable, but not tennis shoes. Be impressed. Speaking of “press,” PLEASE appreciate the fact that my shirt has buttons AND was pressed! It’s true. I located my iron, plugged it in, waited for it to heat up, laid out my shirt and proceeded to try and remove more wrinkles than I created. Not wanting my seatbelt to mar my handiwork while making the trek across my great state of Michigan, I went the extra mile and placed my shirt carefully on a hanger. Did you know automobiles have a little hooky thing that holds hangers? Mine is in “like new” condition. Check your owner’s manual under “Little hooky things” for instructions on proper and safe usage of this little bell and whistle. As you can imagine, this was an exhausting event for me. It provided an emotional and inspiring lift to me as an artist. I wish I didn’t need that. It also gave me an opportunity to deliver a short speech on the topic of my work. Speeches force me to delve into a little introspection regarding why I invest time and energy into creating. The most difficult aspect of this adventure was having to place my still fairly wrinkle-free shirt into the laundry basket. Thankfully, I have the photo evidence to sustain me. Just as I was completing this blog, I received an email with the actual photo captured by the photographer. Better? A bit, but the corduroy effect is completely lost. A year ago, I became a father in law. It is an honor to be sure. 356 days later my daughter provided me with yet another title. As with the wedding, I had many months to prepare, this time, to be a grandfather. Perhaps I’ve been groomed for this all my life. I had two of the finest grandfathers one could ask for. One was a quiet, kind, hardworking fruit farmer with a gentle smile. The other, a humorous, articulate, outgoing pastor in the Catskill Mountains. They each, in their own way, made me feel significant and loved, and gave me characteristics to aspire to. Years later, I watched my father assume the grandfather role. It was an amazing thing seeing the way he held my children for the first time when they were babies. It was as if there was no one else in the room as he studied their tiny faces. Fast forward to Sept. 3, 2017, and it's my turn to hold my first grandchild. I had a ten hour drive to further prepare myself for the moment. I could not wait to meet MY baby’s baby. The occasion did not disappoint. My heart grew three sizes that day as I studied every detail of her precious little face. I’m grateful my daughter and son in law remember to photograph key moments. The above photo is one I’ll continue to cherish for the rest of my days. From “Dad” to “Pops” in a heartbeat. I’ll never be the same. Her name is Lorraine, and when she can speak mine will become Pops. Until then I’ll do the talking, most of the staring, and I’ll pretty much be goo. Wondering how Lorraine looks through the hole of a doughnut? Wonder no more. I began this drawing in February. It was to be the fourth work in my series of phobically themed compositions that have spanned over a decade. Pteronophobic Turtle was the first in the series. The original was proudly displayed in Michigan’s governor’s mansion for a year and a half. Globophobic Porcupine was next. This piece won the CPSA award for Exceptional Achievement in 2008, the Alden B. Dow Museum Merit award and Solo Exhibition award in 2009, the Youngman Graphic Arts award in the Muskegon Museum of Art’s Regional art show, and Best Of Show in the Lowell West Michigan Art Regional Competition. Hydrophobic Otter earned the CPSA award for Exceptional Achievement, the Martin Maddox Prize for Imaginative Realism in the Kalamazoo Institute of Art 2010 West Michigan show, and Best of Show in the Lowell West Michigan Regional Competition. Entering competitions such as those listed above can be very motivating, or disappointing. An artist has to have thick skin. I began placing the creation of my own art work into a place of higher priority approximately 13 years ago. Besides carving large chunks of time out of my schedule, I’ve also invested money, energy and space in my home into the endeavor. My first goal was to produce a couple of drawings reflecting the ideas that were coming to mind. I accomplished this over the course of a summer. Next, I wanted to have some work presented in a gallery or two, and found them in Saugatuck and Harbor Springs, MI. The final step to feeling “official” was to enhance my rather limited resume. A colleague suggested a few competitions, and I decided to enter. I was surprised how well my work was usually received, which gave me confidence and some much needed financial return to help defray the cost of entering. The process of “acceptance” or “denial” served as a reminder as to how my students felt when their artwork was or was not placed in showcases or art shows. Funny how life events can provide positive or negative consequences. I completed “The Lepidopterophobic Rhinoceros” just in time to enter into the Muskegon Museum of Art’s highly prestigious state wide competition. I devoted over 350 hours of the most intense drawing I’ve ever attempted to meet the deadline. When the “declined” notification arrived in the mail it was a sock to the gut. Good thing I have a well insulated 6 pack of abs to absorb the blow. Actually, it was felt acutely. So much so, that I couldn’t even look at the drawing for days. How childish of me to suddenly feel like a failure. Eventually, it was time to put on my big boy American Eagle cargo shorts, my tennis shoes and favorite tee shirt, take a swig of Mountain Dew, buy myself an ice cream cone, and take another look at the drawing I invested most of my summer to. I loved it! I saw it with new, honest eyes and was proud of my accomplishment. I decided to “get back on the bike” and submit the piece to another competition. The Lepidopterophobic Rhinoceros has been accepted into the 25th Annual Canton Fine Arts Exhibition! The piece will be delivered next week and the show will run from October 6 through November 4. Limited edition giclee prints of the piece will soon be available online at a discounted price for a limited in time if you are interested. It will be offered in two sizes. Thanks for reading, and please forgive me for my childishness and pride.... Not very becoming. I think anniversaries can be a good thing, I just find it hard to believe what seems like a couple of months ago, was actually a year. Yes, 365 days ago I did something most men, I’d guess, anticipate and dread at the same time. I “gave” my daughter away. I put a lot of thought into this moment. I’d known for some time that I’d be walking her down the same aisle I’ve walked hundreds of times, as the wedding occurred in the church my father pastored when I was a child, and is my home church today. Same pews, same lights... just left-right-left-right... I can do this. The only difference is that I’ll be making the trek in a penguin costume AND with one of my two treasured children on my arm. Knowing this can be an emotional moment for a father was a concern. I wanted to reflect the joyous occasion with a smile of confidence and to allow the focus to be on the beautiful bride, not on her blubbering father. Imagine my glee when she informed me of the song she wanted to proceed with, “Gone, Gone, Gone” by Phillip Phillips! An unusual selection, but it has a lot of drum references in its lyrics, and a pretty cool beat. I was relieved when my daughter gave me permission to play an African djembe as I escorted her to the front of the church. My son liked the idea as well, and suggested a bowtie on the drum was needed. Nice touch. The wedding was beautiful and thanks to the drum, dad was able to keep his emotions in check. Congrats to Zoe and Brian on a glorious first year of marriage, with many more to follow! I love you both. Some may be wondering why I’m so late in capturing this event in print. The truth is, I had to give my retinae some time to heal. That’s plural for retina, as far as I know. While the local, regional and national news was dominated with advice regarding the safest ways to protect your eyes during eclipse viewing, I went with my own strategy. Please assess my game plan and feel free to give it an evaluation. I didn’t trust the silly little glasses many wore. I wasn’t going to place my stellar vision in the hands of a product that looks like it could come from the bottom of a Cracker Jacks box. Instead, I retrieved the stylish 3-D glasses I FORGOT to return to a local theater while departing the studio. This saved me money, looked great on me, AND gave me a 3-D view of this natural wonder! Next, I took an 8-ply hefty bag with drawstrings, cut a breathing hole and a hearing hole (I’m deaf in my right ear, so a single hole is all that’s necessary. It was a time saver. Ear hole? Mandatory if one is to hear the eclipse clearly). With my glasses and hefty bag in place, it was nearing eclipse time, 2:00 EST. I unzipped the entrance flap to my pup tent and climbed in. With the flap rezipped so no light could penetrate the enclosure, it was now safe to look at the eclipse. I checked my watch: 2:11. Nine minutes until eclipse prime time. Just enough time for a handful of Jalepen~o (I don’t know how to get the squiggly thing above the “n”) Fritos and a healthy swig of Moontain Dew. Get it? It was at this exact moment I had a BRILLIANT idea that no media outlet identified. The well intended warnings all made reference to the obvious damage looking into the sun can cause. DUH! It was at that moment, 2:19 EST, I decided I’d not look at the sun. I’d only look at the moon! BRILLIANT!!!!!! So confident was I, I even took a peak through my hefty ear hole and unzipped the pup tent, just a smidgeon. My apologies for not devising this brilliant strategy in time to share with others. I hear this “once in a lifetime” experience will occur again in 2028? I didn’t research this prediction, but if true, you’re welcome to use my eclipse viewing techniques free of charge. Just one more reason to continue your subscription to the day6art blogs. HOW CRUNCHY, IS TOO CRUNCHY? I love peanut butter sandwiches. My father taught me the art of making one properly, and I like to think I’ve advanced the art over the years. I’ve taken great care in passing on these time-tested secrets to my kids, so that they can “spread” the word. I like my peanut butter crunchy, not EXTRA crunchy. This is an option JIF fails to offer. You can buy smooth, or extra crunchy. My highly intelligent mind JUST figured out why! Perhaps the reason I continue writing blogs is for my own benefit, not for the handful of readers that continue checking in. JIF can blame the lack of a “Crunchy” option on KFC. Chicken options are limited to “Original recipe,” or “EXTRA Crispy.” No “Crispy.” I’ll sleep better from now on. Instinctively, I can sense right now, the beautiful flow to this blog. The thesis is obvious, grammar stellar, transition statements offered with clarity, illustrations riveting and thought provoking, sentences resisting the temptation to run too long, humor SO subtle as to almost be difficult to locate... I’m good. So, back to the peanut butter issue, because identifying blame isn’t enough. I love peanut butter and needed a solution, and please don’t suggest alternative brands. Organic, all natural...... I’ve tried them and nearly lost my love for this delicacy for life. My solution is a bit labor intensive, costly at the outset, but simply brilliant, tasty and worth the investment. I purchase two jars of peanut butter. One that is extra crunchy and one that is smooth. Then, when it's time to have company over for a delicious peanut butter sandwich feast, I simply open both jars, take a swipe of smooth and a swipe of extra crunch for each sandwich. Of COURSE I spread a layer of REAL butter on one of the slices as well, because peanut “butter,” while delicious, is “butter” by name only. It is still the chef’s responsibility to apply actual butter to the bread if a quality sandwich is desired. I’ve yet to come up with a successful solution for KFC. I’m finding it difficult getting original and extra crispy chickens to mate. Photos not included. Busted. Yes, I hired out for this capture. Even my technological skills are not adequate for doing such highly advanced, time lapse photography. 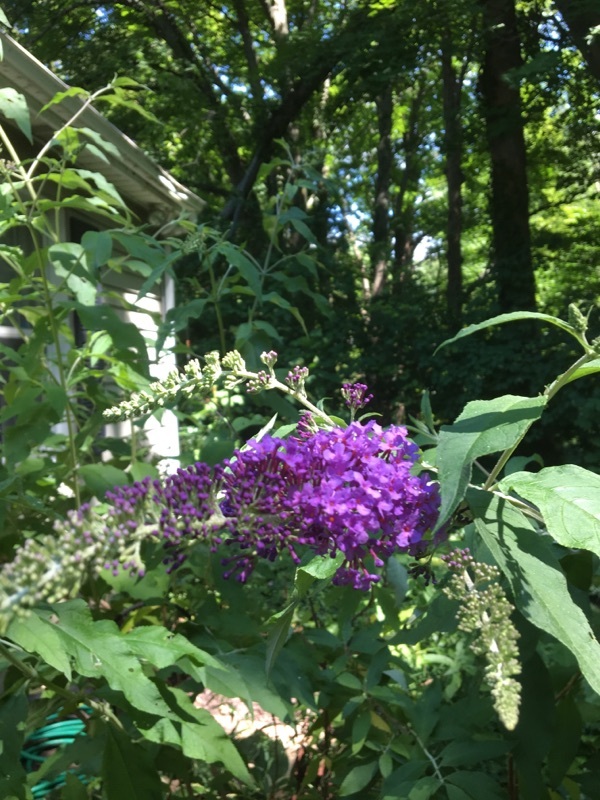 Those of you with botanical knowledge may recognize the subject of these pictures is the increasingly popular “Butterfly Bush.” I’ll explain, briefly, as is my custom, the purpose for having these beautiful images as the heading for today’s blog. I’ve become increasingly aware of the limited appreciation by the viewers of my artwork, for the amount of time and effort each piece requires. If I could’ve afforded it, I’d have had a time lapse video made of the making of my most recent piece. From start to finish, it took over 300 hours to complete. Wouldn’t that be exciting footage? I’d probably have my frequent trips to the kitchen edited out. Because I have a LITTLE bit of pride left. I’d most likely also not include my “no handed popcorn eating” performance in the film. I WOULD, however, include the pencil SHARPENING footage to give an element of high energy to the movie. In the bloopers that would accompany the credits, I’d share some of my more intriguing erasing moments as a bonus. You’re wondering about the butterfly bushes, so I’m on it. A drawing such as my most recent piece can necessitate LOTS of advance planning. Sensing I’d one day need photo sources of a variety of butterflies, I planted a couple of butterfly bushes in my backyard several years ago. Carefully cultivating this temperamental foliage became a labor of love for me. After years of nurture, the plant was ready to live up to its nickname. My heart skipped a beat as I witnessed the multicolored monarch meandering toward the meticulously manicured bush. So excited was I, that I almost forgot to capture my fluttering friend with my camera. I’ll soon be unveiling my most recent, butterfly-infested piece through a variety of channels. Stay tuned! I’m so tickled and humbled by the rapid growth of the number of people reading my blogs that I just HAD to show my appreciation. I decided to open my vault and reveal the recipe I’ve crafted over the past 12 years to my readership. This is a time sensitive revelation, as it requires the acquisition of wild blackcap raspberries while in season. So don’t delay. Step #1. Be sure to have a substantial amount of 2% white milk on hand. Refrigeration required. Do NOT use if lumpy. Step #2. Purchase two boxes of Rice Chex. Off brands not acceptable, but Corn Chex are an appropriate substitution. Step #3. Inspect ceramic cereal bowls and spoons for cleanliness. Step #4 is even trickier than #1-3, and involves a uniform. -Find those blue jeans you’ve tucked away until autumn and put them on AFTER pulling a pair of socks over your feet. Socks should be the type that reach beyond your calves to increase protective value. A long sleeve tee shirt and the shoes you wear for lawn mowing will complete your ensemble. You’ll no doubt want to pause to take a selfie at this point. Step #5. Take a small pail and venture into the great outdoors seeking wild, blackcap raspberries. If you’re fortunate enough to have these growing on your own property, your job will become easier, and will reduce the odds of a brush with the law. Many of the best berries will require climbing into the foliage. This is where your uniform becomes significant. Your sleeves will protect you from plants of the poisonous variety AND reduce the depth into your flesh that the raspberry prickers will invade. Should you become entangled in the prickers, do NOT panic. Simply turn your body in the opposite direction the tangling produced. If skin is perforated as a result, simply smile, and remind yourself of the upcoming reward for your efforts. Once your bucket is filled, it is time to return to your abode. Step #6. Rinse all berries, remove stems and any bugs that came along for the ride. Step #7. Cover the bottom of your cereal bowl with berries, followed by a layer of Rice Chex. Next, a dense layer of berries should conceal the Chex, followed by a second cereal layer and finally a pile of berries to top it off. If you’re confident you’ll not be interrupted by family members, a dog that needs to be let outside, or a Fedex delivery, you may now add your non-chunky milk. I like to pour just enough milk into the bowl to moisten (lovely word) the cereal, but not submerge the top layer of berries. Step #8. Wait until you’re done smiling, and carefully slide your spoon into the bowl. Dip deep enough to obtain at least a couple of cereal bits, so as to add the intoxicating crunch to your first bite. Repeat until bowl is empty. Please do not try this recipe without adult supervision and ENJOY!